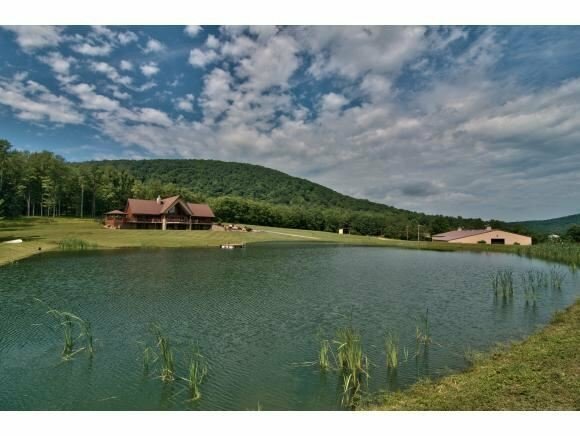 This luxurious four bedroom, four bath cedar home is nestled in the heart of one of PAas State Game Lands. The property sits on over 57 acres of prime real estate. Spanning over 6,500 square feet, this magnificent waterfront residence graced by soaring ceilings and wall-to-wall windows is a haven for gazing at the multiple barns totaling 19 stalls with indoor and outdoor arenas. *Additional laundry room added to lower level.